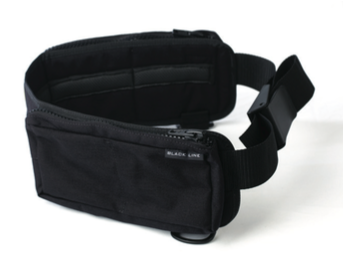 Comfortable padded weight belt with buckle. Padding includes a soft anti slip down material for maximum comfort. Material: Ballistic cordura, PP webbing, stainless eyelets, YKK 10 zipper and plastic buckle. Technical features: Dual zip locked pockets with 2+2 internal lead compartments with a max capability of 10kg (2.5kg per compartment). 2 plastic D-rings for accessories.